Premium Buckwheat Hulls – Grown & milled in the U.S.A.
American-Made Pillow Cut & Sewn in Minnesota, U.S.A.
Popular throughout Asia for centuries, buckwheat pillows are a proven means of attaining better, more restful sleep. Filled with thousands of tiny all-natural buckwheat hulls, they provide support for your head and neck that can’t be matched by traditional pillows. 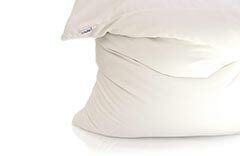 Soft, compressible pillow fillings like down or foam can collapse under the weight of your body as you sleep. They are unable to provide adequate support which results in poor sleep posture and discomfort. 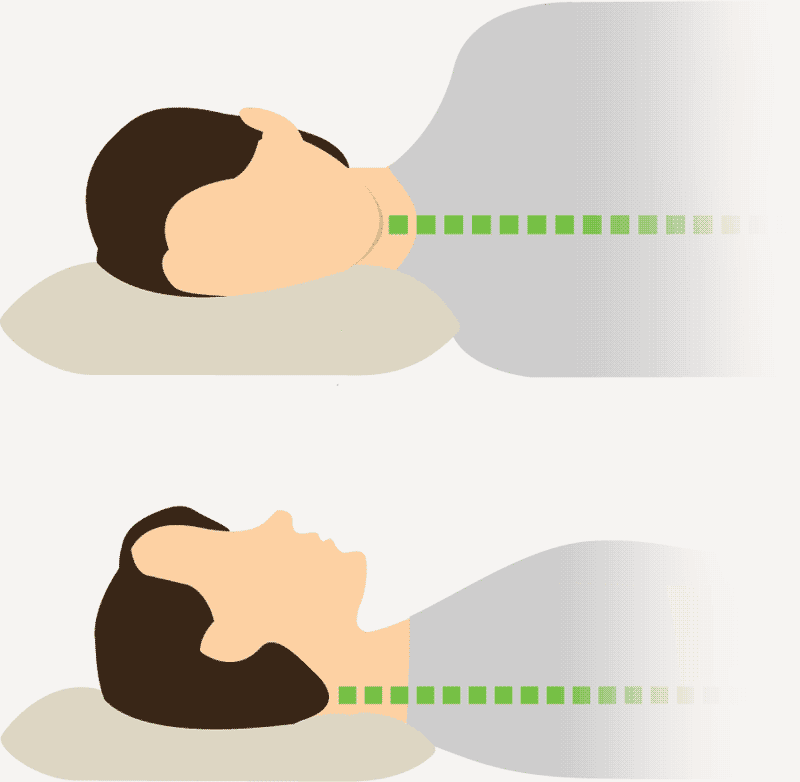 By adjusting the shape and thickness of Hullo, you create perfect support for your neck and head. This removes stress from your spine. 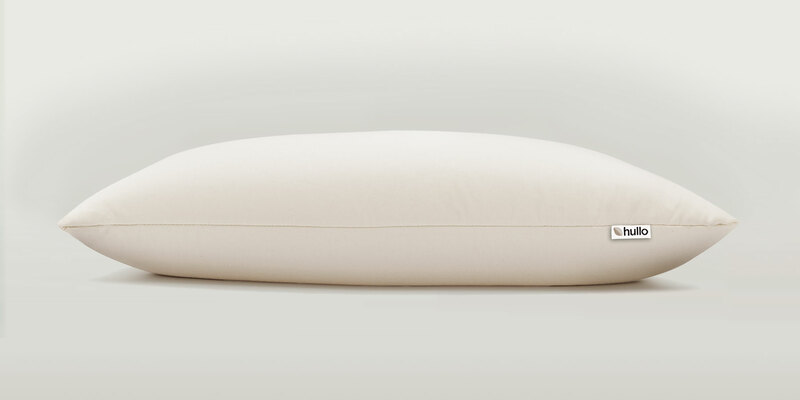 A buckwheat pillow’s malleable quality supports the space beneath your neck, keeping your spine straight and allowing your neck and back muscles to completely relax. Many people are pleased to discover how something as simple as a pillow can have such a positive impact on their sleep. Adjust the thickness and malleability of Hullo by adding or removing buckwheat hulls anytime. 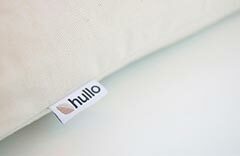 Hullo ships fully stuffed, so you'll have plenty of buckwheat hulls to get your pillow just how you like it. Traditional pillows retain body heat, making your pillow uncomfortable, particularly during the hot summer months. 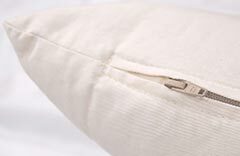 The lack of air flow prevents warm air from escaping your pillow’s fill. 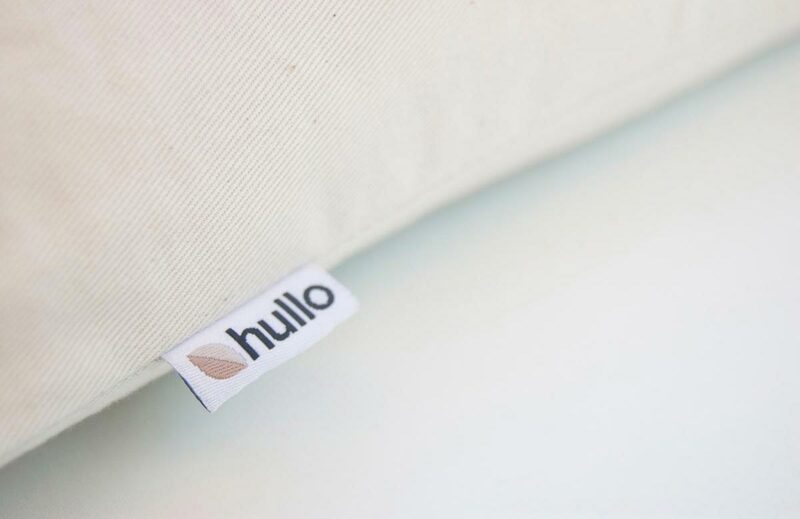 Hullo’s buckwheat hull fill allows air to move freely through your pillow, preventing uncomfortable heat build up. Sleep on the cool side of the pillow all night long without flipping. From the 100% organic cotton twill case, to the carefully sourced and selected buckwheat hulls, we make our buckwheat pillows in the U.S.A. with the finest materials available. Our premium buckwheat hulls are grown and milled by American farmers. Buckwheat pillows contain no animal products for those interested in a vegan lifestyle. Hullo ships via UPS Ground to addresses in the United States free of charge. 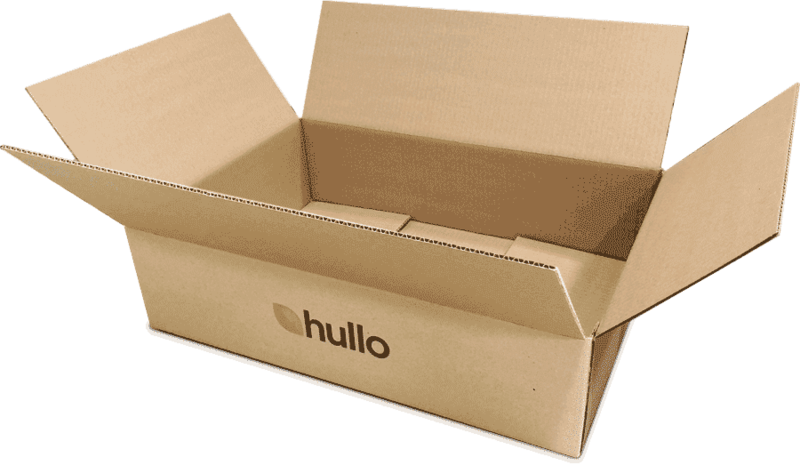 Most orders ship the same or next business day, so you'll have Hullo delivered to your door in no time. We guarantee you’ll love Hullo. If you are not satisfied with Hullo for any reason, send it back to us and we’ll refund your purchase. No questions asked. Best pillow ever for me, however, I’m sure it’s not for everyone. It does take a slight adjustment getting used to it. I like firm pillows and a truly firm pillow is not easily found these days. This thing is amazing and I’ve been using mine for more than a year. I haven’t had a kink, crook or pain in my neck once since using it. In fact, I’ve told my wife, more than once, how great my neck feels. I can turn my neck completely left or right with absolutely no pain or hesitation. Almost feels like you do after a good massage. I have tried them all with no relief. I got my Hullo pillow yesterday and this morning is the first morning in years I have awoken with no neck pain. Love my Hullo! Ordering was easy and the company is up-front, honest, and helpful. The pillow is high quality and very comfortable. You will sleep well for two reasons: The pillow supports your neck like no other pillow. It keeps you cool, and unlike so many other pillows that have toxins and a toxic smell, this pillow is safe, which is the second reason you’ll sleep well. You’ll know that what your face is touching and what you’re breathing night after night for years to come is safe and not toxic to you or your family or pets. These are the only pillows anyone should ever buy.